Yes, both will provide cool, conditioned air, but that's where the similarity ends. Using a personal spot cooler to air condition a server room would be a big mistake. And using a server room air conditioner to cool a bedroom would be a big waste of money! Think about it. Are all shoes the same? 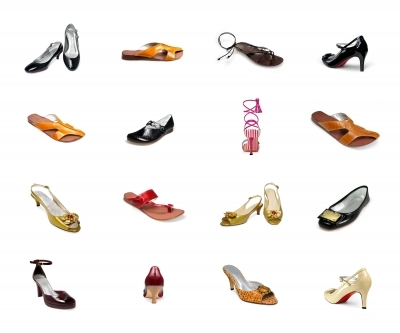 Sure, all shoes are worn on your feet but if they all served the same purpose, you'd only need one pair. Would you wear a casual shoe to go hiking? How about a pair of stilettos for house cleaning? Or a sneaker (am I dating myself?) for ballroom dancing? So when we're talking about which is better, a small personal spot cooler or a commercial spot cooler, the answer is it depends on what you need to cool. Let's take a look at the construction and uses for personal and commercial spot coolers. Exterior cabinets are plastic along with louvers, drain pans and even the wheels. Some models may have metal structural supports for stability. All small personal air conditioners run on standard 115 volt power which is the standard outlet in residential homes and apartments. Most models do not have condensate pumps. The condensate is "evaporated" over the coil and put into the condenser air that is exhausted out the window. Not great for the life of the coil or the interior of the exhaust duct. Last I checked, there was not one personal spot cooler that is manufactured in America. All the units on the market are made off-shore. Please comment and let me know of any American manufacturers. A bedroom at the end of the air conditioning duct run. Extra cooling for a hot sun room addition. Localized cooling in a room when central air conditioning is not available or too costly. Exterior cabinets are insulated metal frame with reinforced ABS plastic panels, metal louvers, stainless steel drain pans and sturdy metal and rubber casters. The smallest commercial portable air conditioners run on standard 115 volt power but you will need a dedicated circuit. More cooling requires more power so larger capacity units operate on 208/230/1 or 208/230/3 power which is commonly available in commercial and industrial buildings. The larger capacity units have a line cord and plug but you'll need to be sure to have the proper receptacle. Most models have optional condensate pumps and a large condensate tank that needs to be emptied when full. The AirPac COOLIT units have a built in condensate pump and two 2.5 gallon tanks so you can use the removal method that works best. Many units are manufactured off-shore but you can buy American -- AirPac manufactures portable air conditioners in Front Royal, Virginia. Primary cooling in a small server room. Emergency cooling in a critical data center or telecom closet. Temporary cooling for retail and restaurants when the central system is down. Cooling an interior office when there is no window to discharge the condenser air. Most units come with ceiling kits to discharge the condenser air into a plenum above the room. Localized cooling for a manufacturing or assembly process where central cooling would be too costly. Personal spot coolers and commercial spot coolers are a lot like shoes; make the right choice, and you can conquer (cool) anything!